ADaM Accounts Payable gives you the power to manage your business finances more effectively by reducing the cost of input mistakes, saving money on discounts, improving your credit rating and enhancing your vendor relationships. 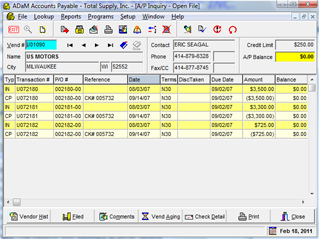 Quick access to vendor and A/P information helps you to make intelligent payment decisions. 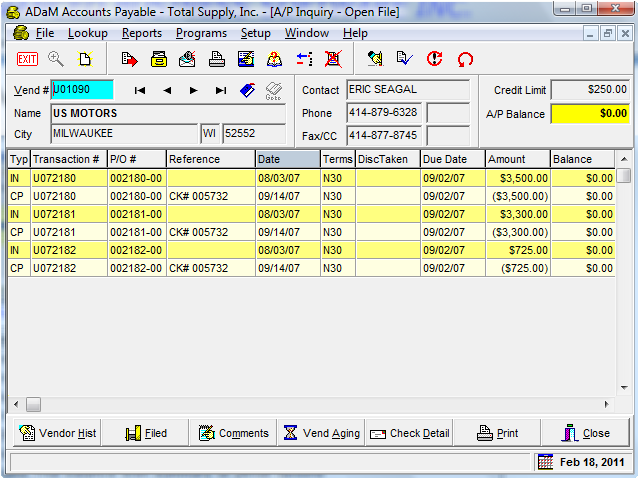 Like all ADaM accounting software, ADaM Accounts Payable offers you unsurpassed power, flexibility and user friendliness.